While writing Time Keys and Spirit Hammers, I became interested in confronting modern music and its relationship to other musical entities, including rock and roll and its divisions. After being in Holland for several years, a longing to be in the rich American musical environment began to dominate my feelings about music, the pure aural sensations of rock music, and strange and repetitious chord progressions are combined throughout the piece. The music is composed using sounds similar in nature to those being played on New York rock stations. Creating three short new wave-like melodies, I then wrote relatively repetitious chordal ideas and rhythms to appear with the unusual melodies. Hearing the piece might be described as driving down the road listening to your radio, switching your dial every few seconds, but the same tunes in different transformations are on every station. With these compact pop motives and the well-tested theme and variation form, I describe Time Keyes and Spirit Hammers. The title and above quote are from Rolling Thunder by Doug Boyd, copyright 1974 by Robert Briggs Associates. The main melodic theme is from “The Bells” by William Byrd, The Fitzwilliam Virginal, volume one. Kite Sites is a celebration of sound and movement for dancers and musicians. A landscape of colors and shapes—diving, tailspinning, rising. 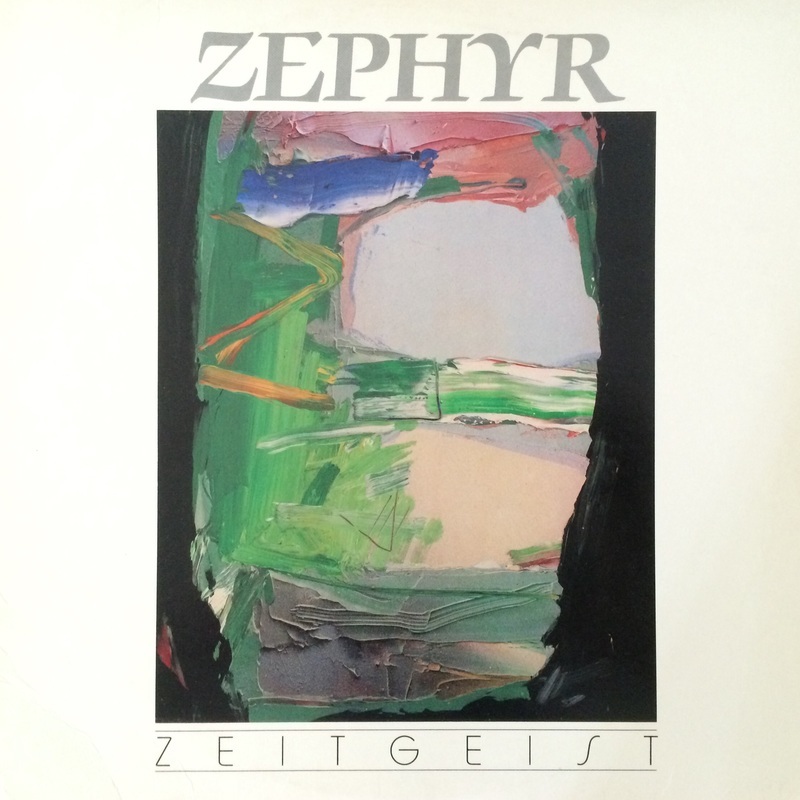 All of the music presented on this recording was written for Zeitgeist in the fall of 1982. This project is supported by a grant from the National Endowment for the Arts. Frank Sacci was born in Albany, New York in 1952. He studied composition privately with Karel Husa, Jacob Druckman and Donald Martino, receiving composition degrees from the New England Conservatory and Ithaca College. He was awarded two Tanglewood Fellowships in Composition; the International Institute for Education Fellowship to the Netherlands; grants from the Maatschappij to Bevordering der Toonkunst, Amsterdam; the Institute for Sonology, Utrecht and the Cultural Ministry of the Netherlands. His works include chamber, orchestral, and electronic compositions. He has received numerous national and global performances of his concert and television music over the years. In 1977, a Fulbright Fellowship led Mr. Sacci to study electronic music at the University of Utrecht in Holland, composing electronic and computer music at the Institute for Sonology over a four year period. The newly reissued composition Time Keys And Spirit Hammers was commissioned with the support of the Jerome Foundation, St. Paul for Zeitgeist in 1982. Mr. Sacci presently resides in Southern California composing and enjoying performances on keyboards. Stacey Bowers was born in 1952 in Wisconsin, USA. Early in his career he was a percussionist and pianist with the Blackearth Percussion Group and held teaching positions at Northern Illinois University and the University of Cincinnati, College Conservatory of Music. He is currently an executive with Woodstock Percussion, Inc., based in the New York Hudson Valley. Joe Holmquist is a new music specialist based in Lincoln, NE. One of the original founders of Zeitgeist, he holds a B.A. degree from Macalester College and a M.M. degree from the New England Conservatory in Boston, where he studied with master teacher Vic Firth. He has played in premiere performances of hundreds of works throughout the U.S. and Europe. Tom Hubbard is a bassist, arranger and composer living and working in New York City. He began playing electric bass at age twelve studying with composer and bassist Richard Paske. At age seventeen he took up the double bass, studying initially with Art Gold and George Stahl of the Minnesota Orchestra and later with renowned jazz bassists Richard Davis and Dave Holland. Jay Johnson received the B.F.A. and M.M. degrees in Percussion with an emphasis on Ethnomusicology from the University of Minnesota. He has performed dozens of world premieres at major festivals and concert halls throughout the United States and Europe. He can be heard locally in concert or on recordings with the St. Paul Chamber Orchestra, Minnesota Opera Company, Plymouth Music Series, Dale Warland Singers, and others. Robert "Sam" Samarotto was born in Brooklyn, New York on May 3, 1933 and grew up there. He then went to S.U.N.Y. - Fredonia for his B.M.E. in 1955 and the University of Illinois for his M.M.E. in 1959. From 1955-58, he attended the U.S. Military Academy at West Point and played in the band. He taught music classes in the Buffalo, New York, school district from 1959-62. He was then hired by Bill Abbott to teach clarinet, woodwinds, and music history at Wisconsin State University-River Falls. He continued to develop personally and professionally throughout his life. During the summers of 1962 and 1963 he studied at Columbia University in New York. He had a faculty development grant to study at the U. of Chicago 1967-68. He had several sabbaticals, which he used to compose music and to study and develop poetry. Sam was interested in so many things that it was sometimes difficult to keep track of him. The clarinet was his preferred instrument, and he played as an adjunct member of the St. Paul Chamber Orchestra, but he was also an excellent saxophone player. He was a member of the Minneapolis Woodwind Quintet, and one of the founding members of "Zeitgeist," a new music group. During the 1971-72 season, he performed at the Guthrie Theater, and he performed at the Walker Art Center a number of times in their new music/new art programs. From 1974-75 he was Visiting Professor at the U. of Minnesota where he taught new music as a replacement for Eric Stokes. He was as comfortable playing Mozart as he was improvising jazz or playing new music and creating totally new kinds of sounds with his clarinet. Sam was a member of the University of Wisconsin-River Falls Music Department from 1962-1990. At UW-RF, Sam helped to initiate the Arts and Ideas classes in the Humanities and lectured on music in the Ancient World, the Medieval World, and the Renaissance. He worked with many woodwind players from groups in the Twin Cities and Wisconsin, as well as jazz players and concert bands, helping them achieve higher performance levels. He gave many clinics and workshops in western Wisconsin and influenced many young musicians. In 1970 the university contracted with the artist Andy Warhol to come to UW-RF and talk about his art. In those days, the most famous people in America came to River Falls. Andy was going to make a coast-to-coast tour of college campuses. He traveled with his usual entourage. But he soon tired of answering student questions, and so his friends began wearing his wig and appearing on stage and making silly answers to questions. They thought no one would know the difference, and for a while they did not. But then it was discovered shortly before he came to River Falls. Sam had met Andy in New York and knew what he looked like, so he agreed to drive to the airport and pick Andy up and then have dinner with him and the entourage at the West Wind (an experience Andy said he would never forget) and then deliver him to the North Hall Auditorium with the admonition that if he himself did not appear on stage and answer questions he would not be paid. And so he did. Andy showed his newest movie "Chelsea Girls" in two different versions at the same time on two screens on stage and then he answered questions. Sam's first marriage was to Ann, a talented musician, violist, and mother of their two children. Later he married Dr. Sandy Soares, Professor of French at UW-RF. Sam and Sandy bought a large old house with a huge garden on the northwest side of River Falls. In the garden, they planted heirloom tomatoes, herbs, and a variety of unusual vegetables. Their dinner parties, usually for both students and faculty, were legendary. They were both excellent cooks. Sandy specialized in French cuisine and Sam in Italian. Sandy's "coq au vin," with chicken and fresh vegetables simmering in red wine all day, was better than anything you could find in France. Sam's Italian dishes, with homemade pasta and sauces of red tomatoes and herbs from his garden, were memorable; ravioli which took two days to prepare was the ultimate delight. And they both enjoyed pastries, and so desserts and wine were also very special. Sandy was much involved in faculty governance and frequently had to make trips to Madison for meetings. She and Sam would drive down together and take turns reading aloud, from a new book or collection of poetry. They often made weekend trips to Chicago to enjoy the music, arts, and cuisine of the city. And they read to each other all the way down and back. Sam's last love was Patrice, an artist, and the two collaborated professionally. Sam had always written poetry, but now he became more serious, and Patrice would provide illustrations. They were published nationally and acquired recognition. Sam would often read his poetry in coffee houses in River Falls and the Twin Cities as he was developing it, and Patrice would display her drawings and paintings. Anyone who obtained one of her drawings and his poetry about his vegetables was very fortunate. Sam and Patrice lived in the large old house on the hill across from Rodli Commons. Sam died of a heart attack on January 1, 2003, while visiting San Francisco. Painting © Greg Kelsey, courtesy of Groveland Gallery.